The construction phase is an exciting part of the home office renovation process, especially because you get to see your ideas transformed into a newly renovated space. A reputable home office remodeling company, like Republic West Remodeling, makes the construction process go smoothly. The work will go according to the specific plan you and your contractor have finalized before construction begins. We always include specific terms in your contract, so there are no surprises throughout the remodeling process. So, what should you expect during your home office construction project? 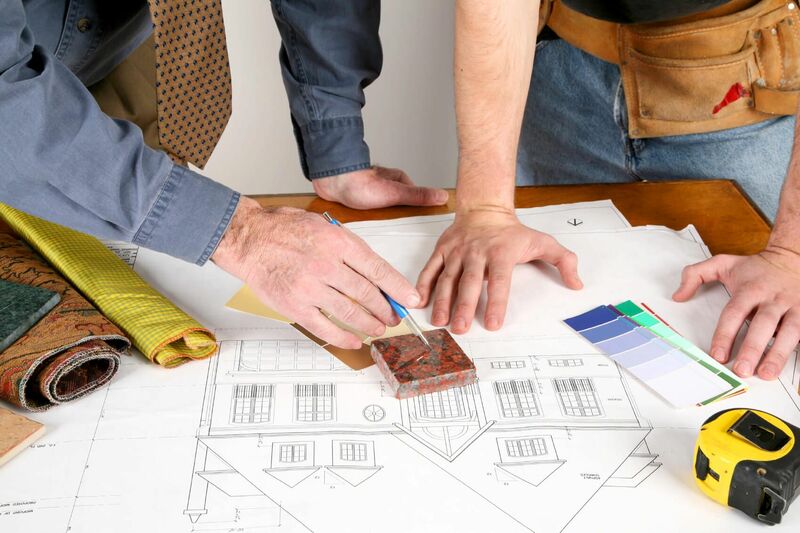 Upon signature of contracts, we set up a meeting between you and our Head of Pre-Construction and Planning, an architect with many years of residential remodeling experience. This meeting typically occurs within one week from contract signature. During this session, this team member delivers the remodeling project plans to you, which outline the process moving forward, communication options, and everything else you need to know to help you through the actual construction phase. Any concerns or potential issues will be brought to light here and addressed early on. Finally, our team will also ensure that we plan to execute the scope of work as expected at this time. Next, the Head of Pre-Construction and Planning prepares our field staff for your home office remodeling project’s execution. We develop a detailed line-by-line timeline. We enter this schedule into our software system, as well, so all team members can access it. We also generate a job tracking report for the job foreman, as well as the field management staff. All applicable drawings are printed and placed in the manuals, as well. This process allows us to support you throughout the entire project as part of our excellent customer service. The pre-construction phase takes about one week, and upon its completion, your home office remodeling project is ready to begin. For many people, home remodeling is a new adventure where expectations are high and not always met. It is our job as remodeling contractors to prevent that from happening. Unlike other remodeling contractors, we employ many of the people who contact clients and perform the work. Our Operations and Execution team is no exception. In fact, it is our goal to combine the expertise of our remarkable Operations and Execution staff with the role of being your trusted advisor to answer all questions, explore all ideas, and act as a beacon of information before, during and after your home office renovation project. Republic West Remodeling has been exceeding clients’ expectations with our home office remodeling projects since 1995 because we are always honest and up front. Our clients tell us the finished result is well worth any minor inconveniences, and we work to minimize disruption to your home and your life. You have our assurance that we are experts at limiting the “downsides” of remodeling, communicating openly with you from the start. Our goal is to keep your inconvenience to an absolute minimum. For every home remodeling project, our goal is to deliver what we promise. Contact us today for additional details about the home office construction process.